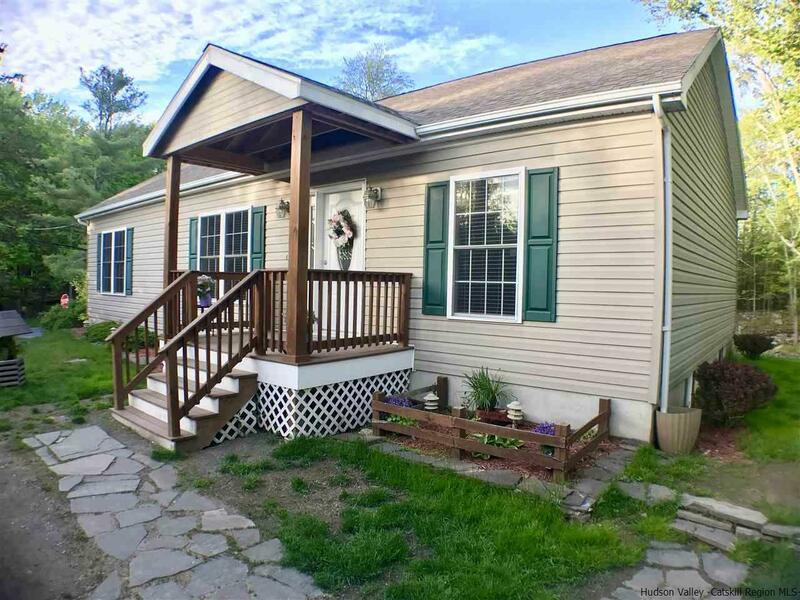 Well maintained 3 bedroom, 2 bath ranch perched on a pond in low-tax West Hurley. Intelligent open concept floor plan creates easy flow for family and friends from kitchen breakfast bar to dining room, living room and back deck--overlooking your own body of water! Bedrooms and bathrooms flank common areas for added privacy in an efficient use of space. Full unfinished basement and detached one car garage with workshop area provide excellent room for storage and support. Property borders protected NYC Ashokan Reservoir land. Convenient to State Rt 28, Woodstock, Kingston and all the Catskill Mountains and Hudson Valley have to offer.